Below you will find different materials to accomplish different tasks for which your tank system was likely set up initially. 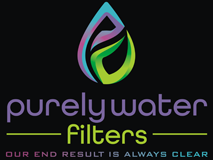 Replacement materials Level 1 - Level 4, and MMB, are used in raising pH levels typically used for well water where the water is corrosive due to low pH levels. Unlike many other medias, PWF medias are fully blended to produce optimal results, and pre-disinfected to “clean” the tank to prevent bacteriological growth, VERY IMPORTANT WITH WELL WATER. NOTE: You may access Product and Safety Data Sheets in our TUTORIALS page. Fully blended and disinfected for true performance as well as disinfection protection against bacterial growth. 1/2 cu ft Bucket Carbon Media. ACID WASHED SO IT ELIMINATES CARBON FINES SUBSTANTIALLY, much better than water washed or non-washed.